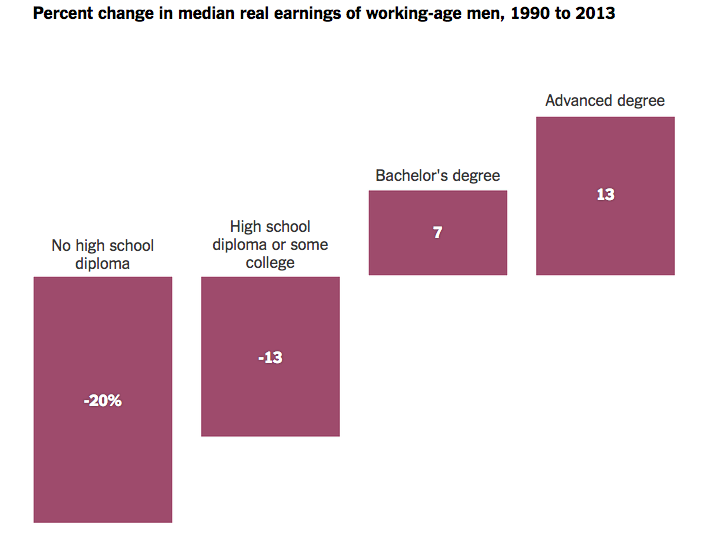 This graphic is from today's NYTimes: Why American Workers Without Much Education Are Being Hammered. Note added (with better data): This source has 2013 GDP at $16 trillion versus $9 trillion in 1990 (both figures in 2009 dollars). Total US population went up 26% (316 million from 249 million). The percentage of the population with college degrees went from about 20% to 30%. It still appears to me that much of GDP increase during the period did not go to workers or ordinary people. Steve asks: "Where did those gains go?" comprehensive income' by Armour et al. 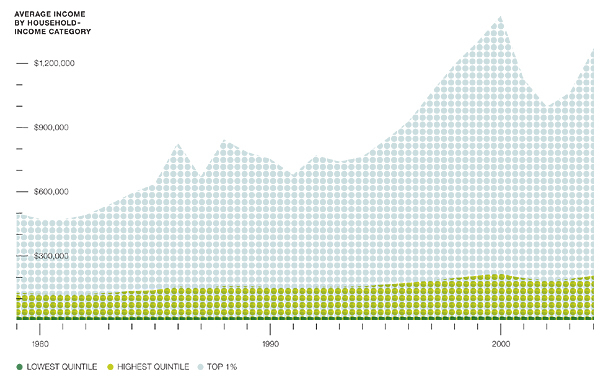 (2013), and 'Inequality, Mobility, and Being Poor in America' by Horwitz (2015). This finding makes Marxist theory very dangerous one if mass consider to change the pattern. Failed communist contries should serve as reminder. A fair chunk of the gains probably gets redistributed to owners as dividends and capital gains. As bizwiz21 notes, these are apparently excluded from "annual earnings". Not all those owners are US citizens, not all are male, not all are wage earners, and (per the bar chart on distribution of financial assets) the disbursements to US citizens tend to be concentrated in the top 10% (which I suspect includes both of us). Some of those gains turn into reinvested capital, which benefits someone down the road but perhaps not for a while (as, for instance, with stocks held by a family for the long-term, with the plan to pass them to inheritors).